Part of the Sakura Kristal Restaurant chain. From the South Entrance, walk straight until the end and you will see a North Entrance. Go out from the entrance and Starbucks will be on your left. Walk straight and turn left. The restaurant is located at the edge of the left turn. 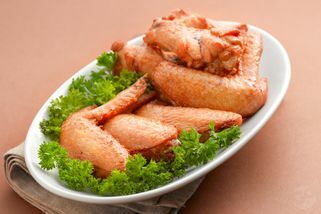 Sakura Kristal prides itself on food that’s delicious and high quality at affordable prices. Established in 2003, Sakura Kristal has had plenty of time to perfect its quest for quality food, and today, has several outlets all around Klang Valley. 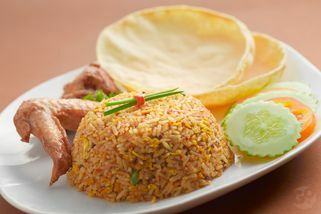 In addition, the restaurant has won several awards, including the 5th Malaysia Power Brand Award 2011. Sakura Kristal serves a host of local and fusion dishes—amongst some of the most popular are: Indonesian Fried Rice, Lamb Roll, Seafood Combo, and Salmon Herbs. 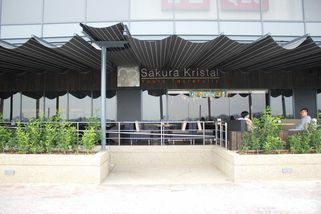 Sakura Kristal restaurants have an amazing ambience which combines simplicity with class; and have plenty of space for diners. The Setia City Mall outlet is located right by all the other restaurants, facing the huge park opposite. It’s a great spot, as those who enjoy the fresh air and greenery can dine out on the patio. Went to Sakura Kristal on the first day of CNY with my friends. We ordered Peranakan Curry (seafood), Cantonese Noodle and Chinese Tea. 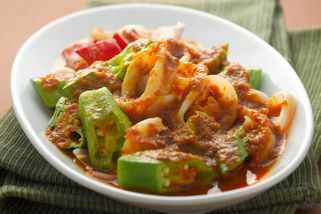 Their Peranakan Curry is a must try menu. Generous amount of seafood, fresh and creamy. Huge portion of Cantonese Noodle and my friend ended up asking me to share it with her. 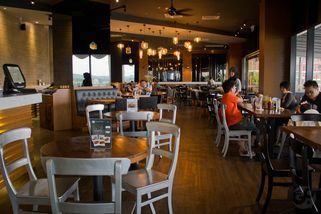 Prompt and attentive service, great spot since we choose to dine outside so that we can enjoy the view of Setia City park. "Amazing food, great service, fancy decor.."
Went there over the weekend and the place was really comfortable. they would show the menu in an instant, and even more explained them. 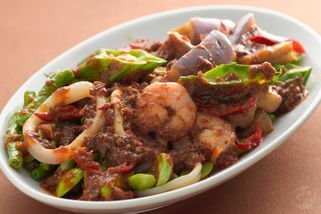 Ordered a bunch of their signature dishes like Beef Crabonara, Indon Treasure, Curry Laksa and Fresh Water Prawn noodle. 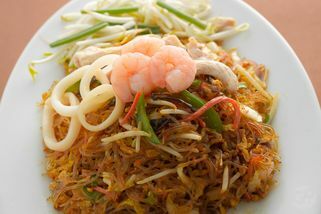 The meals were great especially Fresh Water Prawn noodle. The Prawns were big, so fresh and they put a bunch of them! I love their Sea Coconut drink. Overall, its an amazing experience. It may look a bit fancy on the surface when you come to the restaurant, but the prices are quite reasonable for such place.